Join us for a Homecoming & Reunion Seminar next week! Two sessions available here at the Airman & Family Readiness Center. During reunion and reintegration, couples will experience change and adjustment, just like they did when the deployment began. Sometimes this can be more stressful than any other part of the deployment process because of the conflicting expectations and changes that have occurred during the separation. The reunion itself is often full of emotion and expectations. It can be an awkward mixture of excitement, joy, strife, apprehension, among other emotions. Both partners may need to renegotiate routines or responsibilities that were in place due to the deployment in order to find a good balance. Be Realistic: Throughout the deployment both partners may be daydreaming about what it will be like to be home together. You may expect homecoming to be a passionate rendezvous, but when you are together you feel a little awkward and need some time to get comfortable together first. It is common that during the reunion, the deployer expects their partner to shower them with appreciation for the hardships they endured during the deployment. However, their partner may be looking for the same grand gesture. Instead of understanding that both experiences were challenging, couples may find ourselves in the “who had it worse” game in which neither person gets the validation they need and deserve. Be Patient: Keep in mind that the deployer is coming home to a family in progress that has developed different routines. What about the partner who had to make the family budget? They may like doing it now, but the deployer expects to pick up that duty again. While one Airman was deployed, his wife started visiting her family twice a month. When he got back, she still wanted to go to her parent’s house often, but he expected that now he was back they would spend more of their time at home. There can be many expectations on how to handle change. Sometimes the deployer expects things to go right back to the way they were before the deployment. There was one Airman who would read her 4 year-old daughter a bedtime story every night. It was something they both greatly enjoyed. When she got back from the deployment she assumed they would pick-up right where they left off. She was surprised and sad to find that her daughter was uninterested in story time. What do you think happened when she tried to enforce this routine? Sometimes this can cause tension among family members who are accustomed to the way things are. A realistic plan may be for the Airman to observe the new routines for a while and slowly join in when everyone is ready. Communicate: Good communication can be defined differently by each couple based upon their experiences. However it is defined, good communication usually brings emotional safety for each partner. When one feels heard and able to understand the other person’s point of view, both are communicating well and experiencing emotional safety. Good, emotionally safe communication makes it okay to open up your heart to your partner. When you do your best to listen carefully to your partner, you make it safe for them to open up to you. Many may have experienced times when their communication doesn’t look “good.” Sometimes your normal way of talking just isn’t working, but there’s something that needs to be talked through. Often couples keep trying over and over, or maybe they keep doing the same thing only louder. If this is the case for you and your partner, being able to use a method of talking that structures the conversation and allows both to listen will help good communication. One way of communicating that does this is the Speaker Listener Technique. You can learn about it from our Speaker/Listener Technique page that describes the steps. There are choices to be made in communicating with your partner. When an Airman returned home, he found that his 15-year-old daughter was acting out at school. His wife was never strict with discipline, because that was a role he normally fulfilled with her support. But during his absence, his wife had allowed her to get away with many things that together they would not have. He had a choice to make. He could assert his power by enforcing new rules or he and his wife could brainstorm together and come up with other options that were reasonable and fair to everyone. They talked about it and agreed to let the daughter have input on the new rules. With consistent structure and guidance and by allowing her to have a say in important matter, her behavior improved and she was no longer getting into trouble at school. Plan and prepare for the reunion with your partner just as you needed to prepare for the deployment separation. Some plans that you make may need to be readjusted as new events unfold. Be open to new ideas. Most importantly, stay connected and work as a team. Welcoming home our deployers becomes an exciting time for couples. In the days leading up to the reunion, you may have felt excited to see each other and ready to get things back to normal. Each person will have certain expectations often picturing the “perfect” reunion. So while the joy and excitement of the event exists, the reunion also brings challenges. Being flexible and keeping your expectations realistic can assist in renewing your relationship after a deployment. Whether this is your first deployment or fifth, you both have changed. Each of you has had new experiences during the separation and worrying that the couple grew apart is common. It is also normal to redefine your role in the relationship as well as worrying about unresolved issues from the past. It is important to remember that no relationship is perfect. Unresolved issues can make the reunion and reintegration difficult if you don’t have trust, respect, communication, and teamwork. As I mentioned before, you both have changed during the deployment. Airmen have had different experiences that often come from going overseas. Most likely you have worked long hard hours at a tempo that is not seen at work during time at home. Sometimes this can be hard to dial back and slow down. For the partner who stayed home, the Airman may seem withdrawn at times. Don’t take this personally; they may need some time to reflect on the deployment experience and reintegrate to home. This is not to say that things at home have not been hectic. Your partner at home often has had to learn to do tasks that the Airman usually did. They have developed new skills and have increased their confidence and competence making them more independent. Additionally, during your absence they may have developed new hobbies, interests, or friends to help fill the time during the deployment. As the Airman, allow your partner to continue doing the tasks that he or she has taken over until you both have a chance to discuss new roles around the house. Don’t criticize or judge the changes they have made; keep an open mind. Instead, give your partner some credit for taking it all on and becoming more independent. Don’t take this personally and assume they don’t need you anymore. 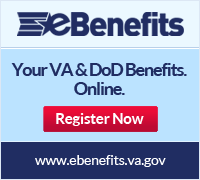 Discuss your budget and any financial decisions that were made during the deployment. Discuss household chores and how they were accomplished during the deployment. Hold off on major changes. Often the deployed Airman will expect to take back all their tasks and roles that they held before leaving. Work together with your partner to help define responsibilities over time. If you have kids, discuss the routines, discipline issues and changes that took place while you were separated. The kids have changed too! Avoid criticizing and being defensive if you don’t agree with changes made while separated. The changes may have been necessary to make things work in your absence. Put the “To-Do” list on hold. Take time getting into a new routine. Show your appreciation for your partner that stayed home and keep things running smoothly and let your Airman know that they are still needed. All of this does not work without communication. It is important to keep the communication going as you adjust to life back together. Make a point of checking in with each other every day. Be a good listener. This is done by: making eye contact, not interrupting, not judging or criticizing, and focusing on what the other person is saying. Pay attention to your body language. Your posture and expressions will often speak louder than your words. Keep in mind that all relationships have conflicts. If they are handled in a healthy way, even disagreements will help keep your relationship strong. Common sources of conflict include finances, responsibilities around the house, and parenting styles. To solve conflicts we suggest using the Speaker/Listener Technique to assist keeping issues from escalating and increasing understanding of each other’s points. Click the link above or picture to learn about this communication tool. Take time to enjoy each other again. Allow the Airman time to settle in and get used to the routine before planning any dates. If you have kids, they will also need individual one-on-one time with the Airman to rebuild the bond again. If needed, give each other space and realize that there may be activities you enjoy doing on your own. Be patient, it may take time to feel like a couple again after being separated. Sexual tension is common and can take a while for one or both of you to feel relaxed and comfortable being physically intimate again. While some people feel awkward talking about physical intimacy, you and your partner may need to be honest about your feelings with each other. Overtime, if things are not getting back to normal, you make need to seek assistance. There are many resources out there for you. Take a look on our Common Questions About Counseling page for details. You can also visit our marriage page for other tools to help your relationship, whether you are married or not. You can keep your relationship strong, even after a long deployment. It will take time. Be sure to continue communicating effectively about your feelings and concerns and listen to each other. Finally, accept help. Take advantage of the resources the base offers or utilize the resources in the community.